Laser Skin Resurfacing: Refreshed Skin! Cost, Recovery, etc. New laser technologies allow plastic surgeons to treat facial wrinkles, blemishes, skin discoloration and scars with extreme precision, even in the most delicate of facial areas. Also referred to as laser peel, laser vaporization and lasabrasion, laser skin resurfacing has quickly become one of the most popular anti-aging treatments out there. 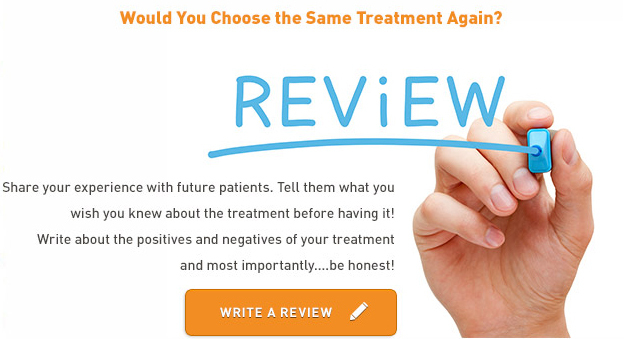 Keep in mind that not everyone is a candidate for laser skin resurfacing. For example, people with dark skin could experience prolonged skin discoloration after treatment. Also, if you suffer from a skin disorder or are prone to scarring, you may find yourself unable to receive treatment. Certain medications may also conflict with skin resurfacing. Speak with your plastic surgeon or dermatologist about your concerns to determine whether laser skin resurfacing may be an option for you, or what alternatives may be available. There are a variety of laser options for skin resurfacing, namely ablative and non-ablative lasers. Whereas ablative lasers affect the surface layer of the skin, vaporizing it away so that newer, rejuvenated skin may take its place, non-ablative lasers target the underlying tissues of the skin, stimulating collagen growth and fostering its natural healing effects. Regardless of the particular laser type you opt for in laser resurfacing, you may require more than one treatment to see the maximum effect. Fractionated lasers: These types of lasers use ablative laser technology. They were developed as an alternative to more intense treatments. They are excellent treatments for sun damaged skin, acne scars, wrinkles, and for improving skin texture. Fractional lasers are a popular choice because they involve considerably less downtime and recovery than traditional lasers. Carbon Dioxide Laser (CO2): CO2 lasers are ablative lasers frequently used to improve acne scars, wrinkles, skin tone and skin texture. The main downside of CO2 lasers is that they are invasive, meaning there is considerably more recovery time involved and you will have some lingering pinkness in the treatment area for approximately a month. Erbium-YAG (yttrium/aluminum garnet) or Er:YAG: Energy from Erbium-YAG lasers are absorbed by the superficial layers of the epidermis, getting rid of damaged or unwanted tissue. The pulsing actually lessens the heat on the skin, resulting in less damage. This laser is a less invasive alternative to CO2 lasers and is frequently used to treat sun-damaged skin. These lasers are not as effective for deeper wrinkles, but the recovery time is shorter. Q-switched Nd:YAG laser: These types of lasers are commonly used for removing tattoos. They can remove pigmentation lesions and black or blue tattoos. High-Power Long-PulsedNd:YAG: This system is a popular choice for removing vascular lesions and unwanted hair. Long-Pulsed Nd:YAG laser: This laser is ideal for vascular lesions, broken capillaries, redness, facial flushing and telangiectasia (blue or purple spider veins on the face). The Resurfacing Procedure: How Does it all Work? Short bursts of high-energy light are focused on targeted areas of concern, removing the damaged skin layer by layer. The laser is such that as the surface layer of the skin (epidermis) is removed, while also activating collagen growth in the underlying dermal layer of the skin. Stimulated collagen fibers help to promote the natural development of new skin that is smoother, firmer and cleaner that the old, treated skin. Prior to your skin resurfacing treatment, you may need to apply lotions, creams and/or gels to the skin to help prepare it. Antiviral or antibacterial medications may be prescribed to help prevent infections from developing after the skin is removed. The procedure is outpatient and can be performed using topical, local or general anesthesia. The procedure itself ranges in time based on the area being treated, though it should not take any longer than 60 – 90 minutes (It may be as quick as a few minutes). Although multiple procedures are not uncommon, one procedure may be enough to address your concerns. Laser resurfacing is an incredibly safe procedure, though there are risks as with any procedure. Once the treatment is complete, your doctor will cover the treatment area with petroleum jelly. In certain situations, wraps or bandages may also be applied. You may experience swelling or mild facial discomfort. Bleeding is not common, but not anything to be overly concerned about. You may be advised to ice your face to relieve any discomfort or burning. DID YOU HAVE LASER SKIN RESURFACING? In the days and weeks following treatment, the treated area may crust, a natural process associated with healing. It is important not to pick at the red crusting, otherwise you run the risk of scarring the new skin. You must also avoid sun exposure for several weeks after treatment. As with any cosmetic procedure, the cost of laser skin resurfacing can vary significantly from practice to practice. In addition, some patients may require more treatments than others, which could impact cost substantially. According to the American Society of Plastic Surgeons (ASPS), the average cost of ablative laser skin resurfacing ranges from $2,000 to $2,5000. For non-ablative laser skin resurfacing, the cost is less, ranging from $1,000 to $1,500. To determine how much your laser resurfacing treatment may cost, set up a consultation with a local plastic surgeon to discuss your case further.